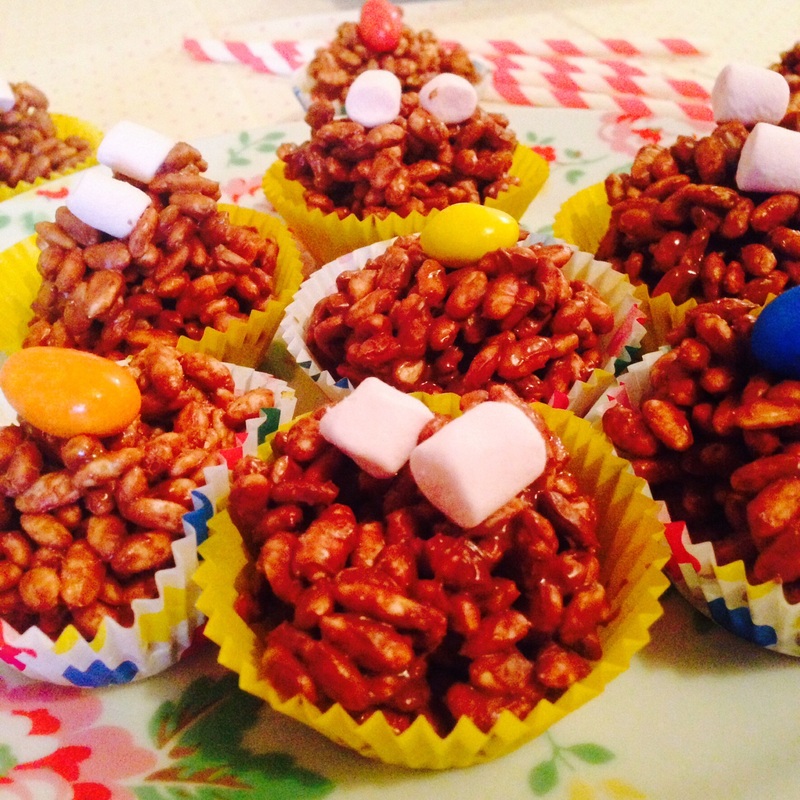 Today, I am sharing my gluten free take on a favourite from my childhood, Chocolate Crispy Cakes, a classic found at most children’s birthday parties. 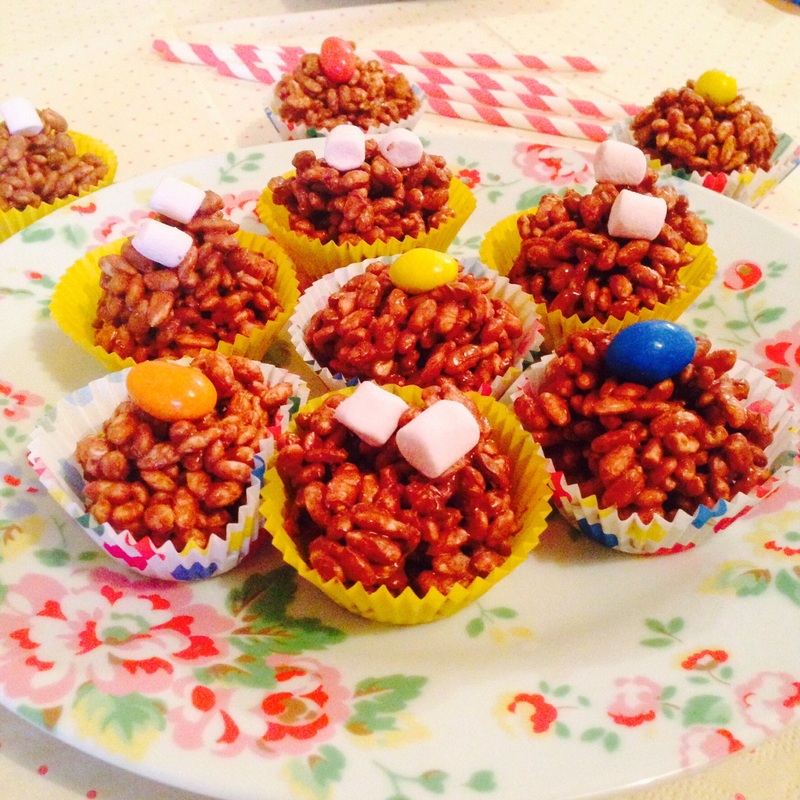 This recipe is so quick, suitable if you’re pushed for time but want to make something homemade for a children’s party. Typically, Chocolate Crispy Cakes are made from either Rice Krispies or Cornflakes, both of which contain Barley Malt extract making them unsuitable for Coeliacs. 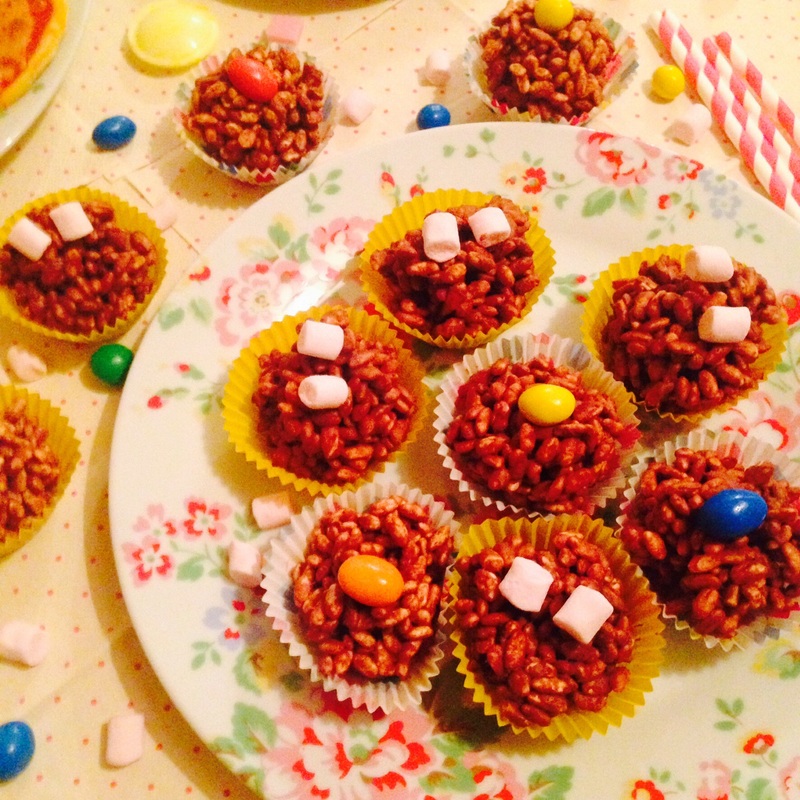 In order to make Gluten Free Crispy Cakes you need to find a Gluten Free cereal. Kallo Organic Wholegrain Breakfast Puffs is my cereal of choice, it contains only brown rice, no additives and suitable for coeliacs. It also isn’t too soft, giving the Crispy Cakes a lovely crunch, I found the cakes lasted longer and they didn’t go soft as quickly as ones made with normal cereal. This recipe is ideal for children to get involved with; it also gives children with Coeliacs Disease the chance to bake something Gluten Free that they may not normally be able to eat. 1) Prepare two 12 cup bun trays with bun cases. 2) Melt the chocolate slowly in a heatproof bowl over a pan of simmering water. Try not to let the bowl touch the water as it will burn the chocolate. You can also melt the chocolate for a few minutes in the microwave, however, it is more likely to burn so if you use the microwave keep an eye on it. 3) Once the chocolate has melted, take the bowl off the heat and stir in the cereal until it has been coated completely in chocolate. 4) Spoon the mixture into the prepared bun cases and decorate them with the sweets of your choice. 5) Leave them to set at room temperature – this shouldn’t take too long! Store your crispy cakes in air tight container and they will keep for a few days. Thanks Julie! It’s Cath Kidston ‘Spray Flowers’ Pattern.